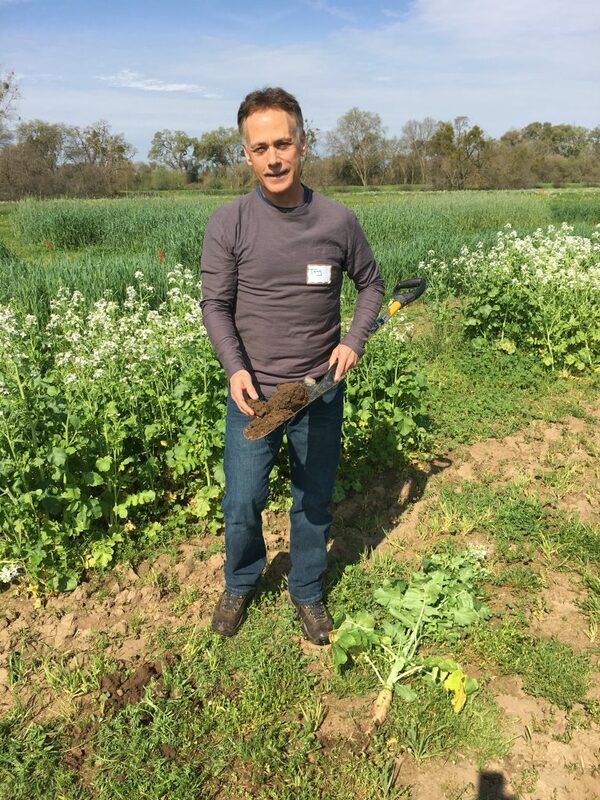 Tony Rolfes, a career state soil scientist, will present “Soil: the Forgotten Gift Underfoot” on Sunday, April 30 from 3-4:30 pm at Congregation Bet Haverim (1715 Anderson Road, Davis). The talk, followed by questions and answers and a short reception, is sponsored by the Yolo Interfaith Alliance for Climate Justice (YIACJ) and is free to the public. This is the second in an ongoing series of Climate and Sustainability Forums. 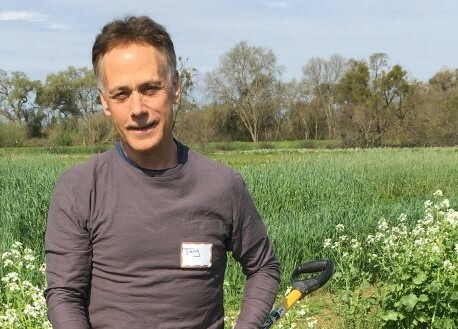 Tony Rolfes has devoted his life to working for healthy soils at the Natural Resources Conservation Service (NRCS) of the U.S. Department of Agriculture. Explore the website for more about the science and the resources, including fact sheets and some great videos. Soil is a living and life-giving natural resource, and Tony lights up at the mention of his life-long passion: dirt. As Tony sees it, soil is brimming with life. Soil is made of millions of species and billions of organisms make up a complex and diverse mix of microscopic and macroscopic life. They represent the greatest concentration of biomass anywhere on the planet. Bacteria, algae, microscopic insects, earthworms, beetles, ants, mites and fungi are among them. As world population and food production demands rise, keeping our soil healthy and productive is of paramount importance. By farming using soil health principles and systems that include no-till, cover cropping and diverse rotations, more and more farmers are actually increasing their soil’s organic matter and improving microbial activity. As a result, farmers are sequestering more carbon, increasing water infiltration, and improving wildlife and pollinator habitat—all while harvesting better profits and often better yields. Tony Rolfes will speak Sunday, April 30 from 3-4:30 pm at Congregation Bet Haverim. Courtesy photo. Healthy soils can help prevent loss of top soil and dust bowl conditions, even as the soil productivity is maintained or even increased. For a fascinating article on how healthy soils can sequester CO2 and thus address climate change, read this article in the Guardian on regenerative farming. In the first forum, four UC Davis Humphrey Fellows described the climate challenges they face in their respective countries of Mexico, Morocco, Tunisia, and Pakistan. 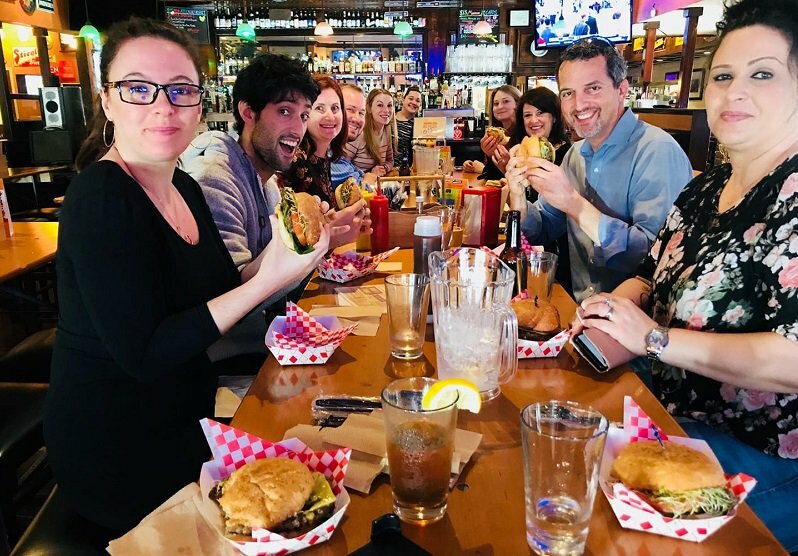 Trained in Al Gore’s Climate Reality Leadership Program, they described both the serious climate impacts and the significant adaptations and mitigations already underway in their countries. Read more here. The Yolo Interfaith Alliance for Climate Justice is planning future forums on timely matters regarding climate change and how to live in healthy, sustainable ways, both for us and for the earth. In the discussions that follow, participants will explore what is possible for our own community. The next forum event will be titled “Sacred Earth” to be held June 9 at 7pm at the Unitarian Universalist Church of Davis, 27074 Patwin Rd, Davis, CA 95616.